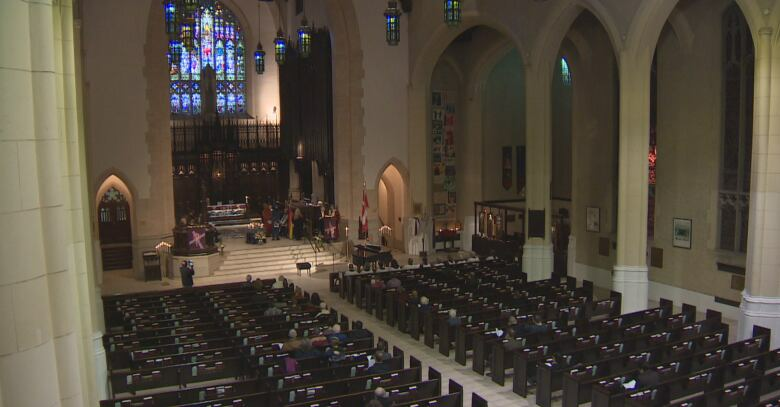 The Metropolitan United Church brought together people from more than a dozen different faiths Monday night, as the community continued to grieve the loss of the five men allegedly killed by Bruce McArthur. 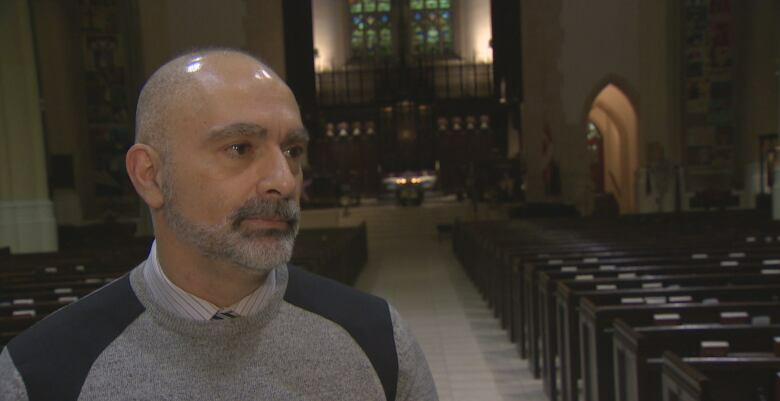 Members of more than a dozen different faiths gathered at the Metropolitan United Church Monday evening to remember Majeed Kayhan, Soroush Mahmudi, Dean Lisowick, Andrew Kinsman and Selim Esen. Bruce McArthur, 66, is charged with first-degree murder in the each of their deaths. 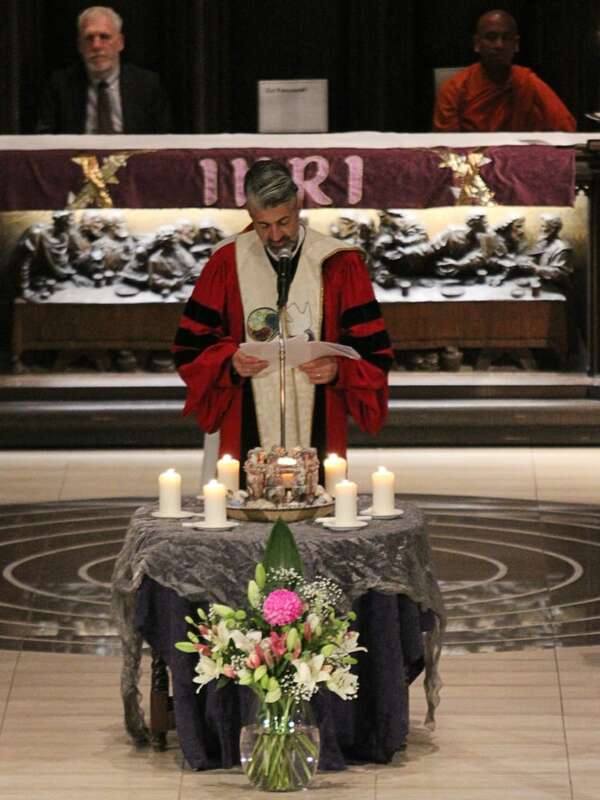 Minister of Congregational Care and Development, Reverend Dr. John Joseph Mastandrea, presided over the ceremony and read the opening scripture, which read, in part: "Glory lies slain. How the lovely have fallen." He said the point of the ceremony is to allow members of the community to come together, as friends, and mend. "If we just stand side by side, the dark won't be so dark, and together we make light that burns so bright. It doesn't take away our fears, but it makes them not so unbearable." Police arrested Bruce McArthur in January and are continuing to search properties connected with his landscaping business. Police confirmed Thursday they'd found the remains of Andrew Kinsman at a home on Mallory Crescent, where McArthur worked and stored his equipment. They also announced they'd found the remains of two others hidden in large planters on the property, in addition to the remains of three other people they'd discovered earlier in the investigation. It's unclear if those remains belong to the other men who've been named. 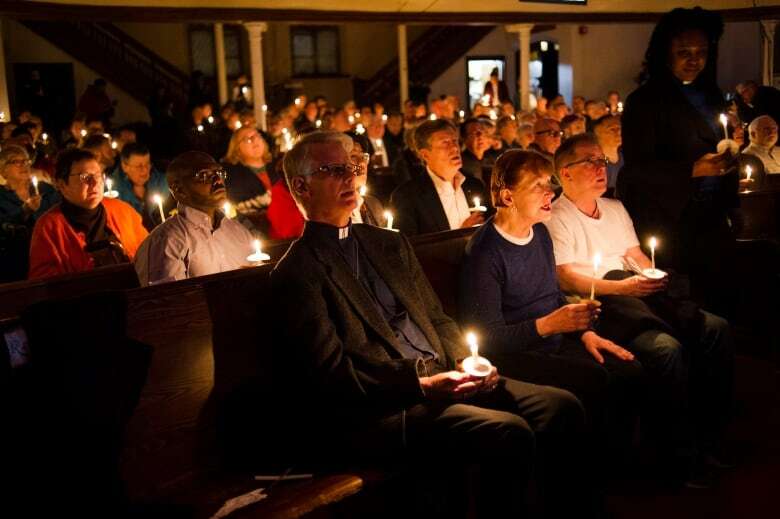 Each new announcement or discovery means fresh wounds for members of the community, who are using these vigils as times to come together for comfort. It's something Mayor John Tory felt the need to join, stepping away from Monday's final budget meeting at city hall to take part in the service. "This is the story of Toronto. When we are grieving, when we're hurting, when there's a tragedy that's taken place, or sometimes when there's joy, we celebrate together," he said. Members of the Roman Catholic, Anglican, Lutheran, Muslim, Jewish, Hindu, Baha'i, Wiccan, Sikh, Buddhist and atheist communities made speeches at the vigil. Paul Ciantar represented the atheists, taking his first steps inside a church in "quite some time." 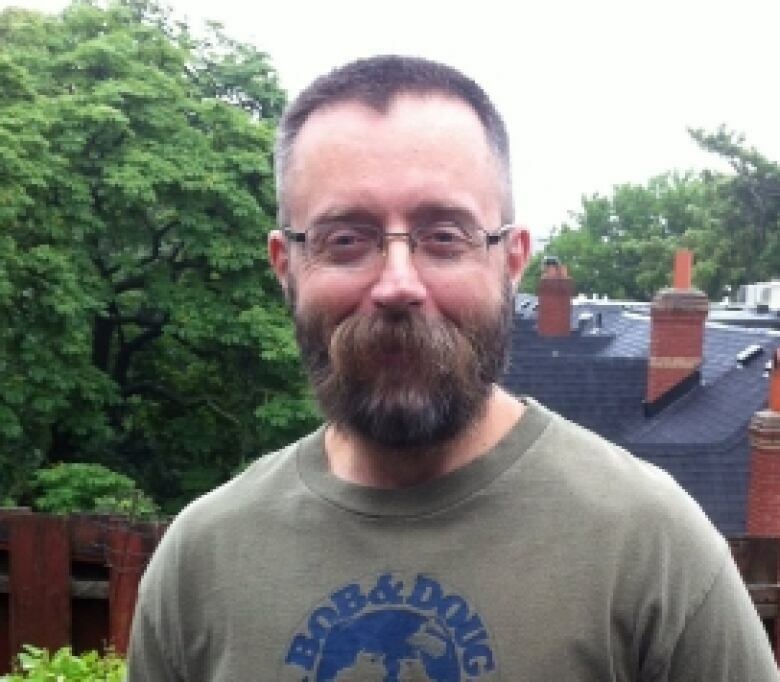 He's lived in the area around Toronto's Gay Village for more than three decades, and he felt he had to share his own perspective on what's happened. "I remember 30 years ago when it wasn't so easy to be gay anywhere, especially in downtown Toronto. We had to look out for each other because there was this big, external threat," he said. "People have sort of deluded themselves into believing ... we're perfectly safe, that there are no more people out there who want to do harm." Ciantar said the events of the past month have broken down some of the safety felt by the community within the confines of the Gay Village. "It takes something like this to demonstrate how vulnerable we are, especially the people who don't fit the mold of being the beautiful, very social, predominantly white male that everyone is looking after." Although Ciantar didn't know any of the victims himself, he said at least two of them were close to people he cares about. "Just the discovery of Andrew's bones, that just brought the wounds back to light for a whole lot of people," he said. A similar vigil took place at the Metropolitan Community Church of Toronto last week, where Rev. Jeff Rock is senior pastor. "I think it was an important thing for our city in all of its diversity to come together and grieve together and remember those who've died and build solidarity across lines of race or religion or gender or sexuality." Many members of the community will also take part in a vigil at the The 519, a LGBT community centre, Tuesday evening at 6 p.m.